Our 6 step finish process ensures a beautiful long lasting finish from the day it's installed to many years to come. We begin with prepping the wood before it is stained or painted, then the finish is sealed, sanded, and finalized with two top coats of lacquer. All stains and paints are applied using a spray gun to achieve an even and uniform appearance. Lineal materials are sprayed with the SP-12 spray machine which gives a smooth consistent finish. Doors are sprayed flat to enable us to put a maximum mil thickness of material on the product. 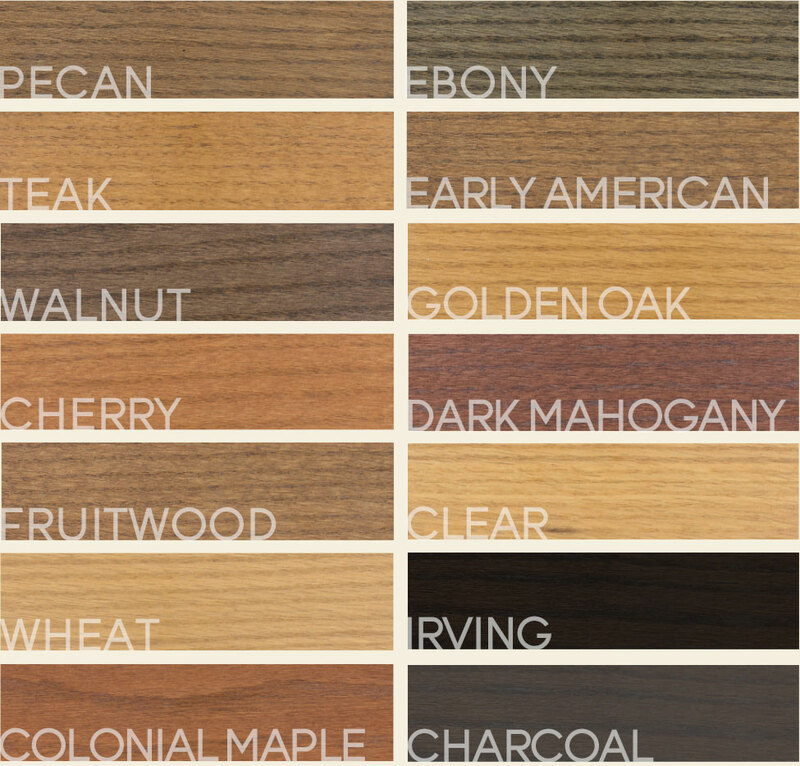 With the use of Dalys Wood stains and Sherwin Williams lacquers, there are many colors to choose from. We use similar products on all exterior doors, which provides a durable exterior finish. Stop by our showroom to see many of these finish samples. Here is a list of colors we provide, any special mix or matching an existing color will include a mixing fee.